Consequently, when water service at a property is transferred to new property owners, the shares of stock associated with the property must be transferred as well. Therefore, to complete the stock transfer, a copy of the signed deed is required at the time the Title Company requests the final statement. In addition, the Title Company must complete the Final Request Form, and the buyer and seller must complete the Water Stock Assignment Forms. At this point, the stock certificate is created and issued in the name or names of the property owners as they appear on the deed. To obtain account status, please call Consumer Services at (303) 238-0451. All requests for starting, stopping or transferring service must be received in writing at ConsumerServices@CMWC.net with all required documents included. Legal name changes or family transfers will require a personal representative’s deed or warranty deed. Select your form below to get started. If you prefer to mail or email this form, click here to download a blank PDF. NOTE: before you fill out this form you must have a signed copy of the Water Stock Assignment – Buyer, Water Stock Assignment – Seller, and the Warranty Deed. You will have the opportunity to upload these three documents at the bottom of this form. We will not process your request without all of the these documents. If you chose not to upload the three required, signed documents at this time, click here to download a copy of a blank Final Request Form. You may then print the Final Request Form, complete it by hand and email or mail all four completed documents to ConsumerServices@CMWC.net or The Consolidated Mutual Water Company, 12700 W. 27th Avenue, Lakewood, CO 80215. Call us at (303) 238-0451 with questions. Add a Third Seller Name? Add a Third Company Name? Add a Third Buyer Name? Accepted file formats: PDF, PNG, JPG, or GIF. If you need assistance please call us at (303) 238-0451. If you prefer to mail or email this form, click here. NOTE: once you fill out this form and hit the Submit button, you will be emailed a PDF that must be signed by all parties during closing. Email the final signed documents to ConsumerServices@CMWC.net or mail the final signed documents to The Consolidated Mutual Water Company, 12700 W. 27th Avenue, Lakewood, CO 80215. Call us at (303) 238-0451 with questions. A reading will be taken on the meter and will be billed from last reading date to a current date (move our date). Change of name only. The last reading date to next reading date will be billed to new tenant. If you need assistance, please call us at (303) 238-0451. If you prefer to mail or email this form, click here. Send your completed Final Request Form, along with the required Warranty Deed and Water Stock Transfer forms signed by both the buyer and seller to ConsumerServices@CMWC.net or The Consolidated Mutual Water Company, 12700 W. 27th Avenue, Lakewood, CO 80215. Using your mouse, or your finger on a trackpad, please sign your name in the field above. If you are not satisfied with your signature, click on the circular arrows above the message and to the right to reset the field and try again. If you prefer to download a blank PDF, click here. Once you fill out this form and hit the Submit button, you will be emailed a PDF that must be signed by all parties during closing. Once you have the final signed documents, complete the Final Request Form on this page. You will have the opportunity to upload the signed forms. 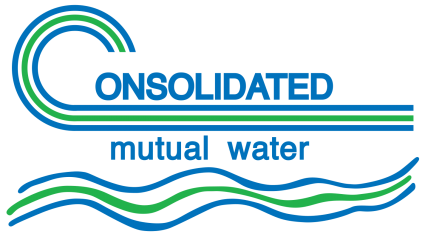 Or you may email the final signed documents with the completed Final Request Form to ConsumerServices@CMWC.net or mail the final signed documents with the Final Request Form to The Consolidated Mutual Water Company, 12700 W. 27th Avenue, Lakewood, CO 80215. Call us at (303) 238-0451 with questions. Once you have the final signed documents, complete the Final Request Form on this page. You will have the opportunity to upload the signed forms. Or you may email the final signed documents with the completed Final Request Form to ConsumerServices@CMWC.net or mail the final signed documents with the completed Final Request Form to The Consolidated Mutual Water Company, 12700 W. 27th Avenue, Lakewood, CO 80215. Call us at (303) 238-0451 with questions.